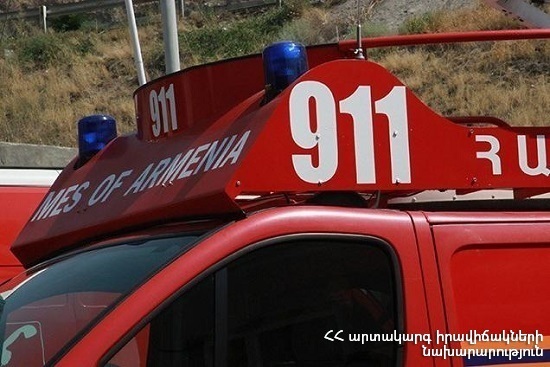 On April 12, at 11:57 an emergency call was received to “911” service that a fire had broken out in the courtroom hall of Spitak residence of Court of General Jurisdiction of Lori Province. The operative group of the Regional Rescue Department and three fire brigades from the fire and rescue squad of the rescue service of MES of RA dispatched to the scene. It turned out that the fire had broken out in the courtroom of Spitak residence of Court of General Jurisdiction of Lori Province at 2/10 Alek Manukyan street. The fire was localized at 12:23 and extinguished at 12:39. The property of the courtroom (about 60 m2) of the court partly burnt.